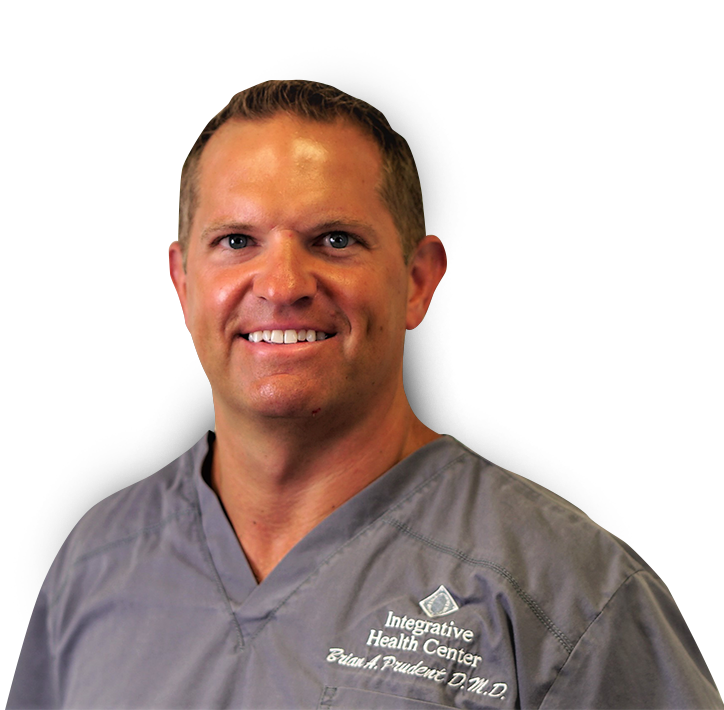 Dr. Brian Prudent joined our team in 2003 and is a proud partner of Dr. Jarrin. Dr. Prudent received his BS degree in Physiology at SIU-Carbondale in 1996 where he was a Saluki football player and an Academic- All American. He received his dental training at the SIU School of Dental Medicine in Alton, IL. He met his wife Angi in Carbondale and has three children. He enjoys spending time with his family, travelling, weightlifting, golf, tennis, swimming, and being an Uber driver for the kids. Dr. Prudent is committed to providing high quality dentistry in a gentle manner. Continuing education is a high priority for Dr. Prudent. Over the years Dr. Prudent has learned many aspects of dentistry. He can provide cosmetic oral rehabilitation services including the “teeth in a day” technique. Other services include root canals, extractions, implants and bone grafting, sedation, ALF Orthodontics, and custom generated prosthetics made here in our office. Dr. Prudent took a series of orthodontic courses at the United States Dental Institute and most recently became a Clear Correct “invisible braces” provider. Dr. Prudent completed a 2 year program at the Dawson Center in St. Petersburg, FL, where he took a series of courses that focused on total comprehensive care. This training not only taught him how to completely restore someone’s smile and dental health, but also how to present comprehensive treatment in an affordable and stepwise manner. Dr. Prudent received training in the use of Botox to treat disorders of the muscles in the head and neck, also known as TMJ and TMD. Dr. Prudent completed his +400 hours advanced implant surgical training at the University of Puerto Rico under Dr. Hilt Tatum and Dr. Jose Pedroza. Dr. Prudent completed his conscious sedation training from St. Joseph’s Hospital in Patterson, New Jersey in 2009, and has performed over 900 cases of IV sedation. Dr. Prudent and Jarrin co-founded MyoTech Sleep Solutions Center. Their center offers oral appliance therapy as an alternative to using CPAP for those patients that have been diagnosed with obstructive sleep apnea and are unable or unwilling to use CPAP to manage their condition. Dr. Prudent completed advanced training at the TMJ Therapy Center for treatment of Orofacial Pain, Orthodontics, and Airway Development. Osteopathic Cranial Academy in Indianapolis, IN. Dr. Prudent completed Advanced Level 3 training at A.E.I (ALF Educational Institution) in Washington D.C. and training under Dr. Gavin James from Canada. The ALF integrative concept is based on the concepts of how the body is supposed to function as a whole. Breathing through the nose and having proper placement of the tongue will lead to proper alignment of the teeth and facial structures, better posture, and sleeping habits.